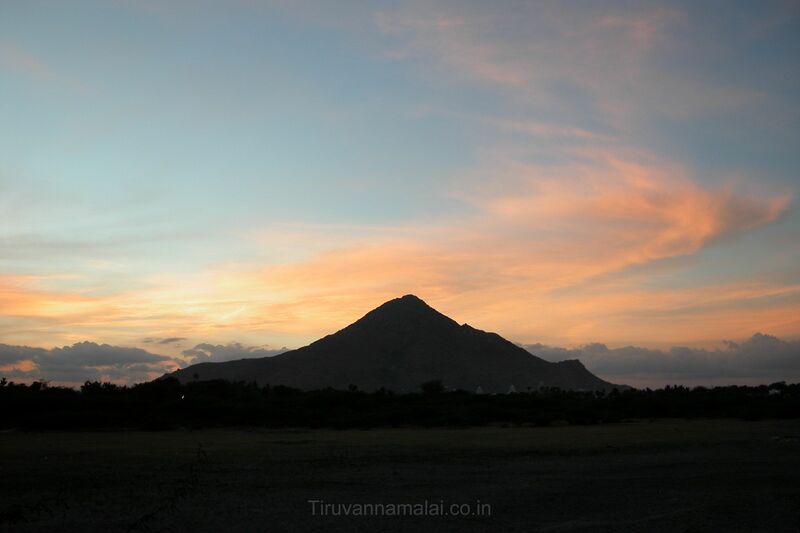 Our trip to a small village near Tiruvannamalai began at the break of dawn on a weekend. I was accompanying my inhouse help Kaveri (name changed), 21, to a trip home that would have her commit to a consanguineous marriage with a man she hardly knew. As we drove, the badly laid road leading to Chengam snaked itself through beautiful mountains filled with innumerable large trees that looked like green dots from afar. Here and there, small clusters of villages settled close to the mountains, the immensely green neem and banyan trees with massive roots jutting out of the earth, the sparrows and mynahs flying off at the sound of speeding wheels and the silence that surrounded the hills didn’t fail to please even as uncertainty about Kaveri’s future hung high in the air. A lot of uncultivated land around the countryside was a bit surprising. So was the density of the population which was thin by typical Indian standards. The villages seemed to be quite self-sustaining. I couldn’t help attributing it to the high mountains and swathes of farmland for offering sufficient means, restoring dignity to the lives of the villagers. Kaveri came to our house after her previous employers left for London last year. She began working at the age of 13 and has already worked in 2-3 houses in Bangalore. Maybe that’s why she is more at ease handling the vicissitudes of urban life. She prefers staying away from the family just to avoid seeing her mother being beaten up by her drunkard father who takes away every little precious thing from the house to buy arrack for himself. With four siblings each left to its own fate even as her mother works hard to make ends meet, the only solace Kaveri finds is in her work ethics. Her smile is soulful and her laughter, honest. She goes about her routine as her long hair tied at the end swings like a snake and her tall figure walks about with her head held high. So poised, gracious and dignified is she that I have often thanked life for not forfeiting these qualities at the doorstep of classrooms. Her meticulous work, attention to detail and willingness to learn cannot be taught in any management classes and I mean it. But lack of formal education and socio-political positioning have already turned her life unremitting. Barring those generous servings of appreciation and monetary rewards from employers like me—whose life interests cannot crawl an inch if not for the life-jacket thrown at us by people like her—Kaveri has been cheated by none other than her life itself. Kaveri was revisiting her parents after a nine-month hiatus. Her bag was packed with a few gifts for the family, a brand-new mixer and newspaper cut-outs of airplanes and jets packed neatly in a plastic pouch for her little brother. I am not aware of the depth of her painful sighs that also found their way into the bag involuntarily and the fears that lay crumpled up between the folds of new sarees she was taking for her mother. As hours passed by, the mugginess began settling on the skin. Her mother smilingly invited me and my little girl to wash our feet in a door-less bathroom erected under a coconut tree and handed out a glass of readymade orange juice as I entered their house covered with asbestos sheets. Kaveri hardly finished the payasa cooked by her mother for the occasion before she was called to the pre-planned family meeting of uncles, aunties, cousins and an equal number of participants from the man’s side. A little bit of digging and it was evident that a string of failed marriages in the family history had not dented the enthusiasm to celebrate all the farce that unfailingly surrounds Indian wedding preparations. It was happy moments for many. It didn’t take long to understand that Kaveri had accepted her fate. She sat down with all the natural grace that surrounded her no matter what a cauldron of mixed feelings her heart had become in such a short time. She looked up at the men and women and said she would marry the same man as it is the family’s intention. And, without mincing words, she added that she needed some more time to save money for her brother’s education. The man who commanded everyone’s attention at that moment said he was ready to wait for her but only wanted her to commit openly that she would marry him eventually. The only silver lining for a soul bogged down by life’s cruel tricks. Thus far. To my chagrin, I found myself in the midst of a family decision. It was a bit unsettling to see them bring out one mat after another and sit around me as if I had a say in the matter. I began gleaning information about the man’s family which had migrated to Mumbai in search of a livelihood. “Where do you live in Mumbai?” I asked the man’s father. He said: “Dharavi”. I cast a glance at Kaveri, but she was quiet. And this calls for nothing less than 20 hours of work day in and day out, the family said. They wake up at 4 am to sell the garlands weaved till the previous 12 am. Kaveri will have to do this and cook for the entire family and wash their clothes and make their beds. Look at the life choices offered on a cracked platter! It felt as if someone was jabbing a knife at my heart and took pleasure in doing so. As I headed towards the car, Kaveri was called inside the house and given flowers by the man’s parents and relatives. Her mother split Kaveri’s long hair and placed a string of jasmine and put kumkum on her forehead. As we retraced the route studded with green giants on either side, I couldn’t help feeling that much of the uncultivated land must have been the result of large-scale migration, including Kaveri’s. If a large number of people desert the mountains and rush to slums looking for a life, then something must have gone fundamentally wrong here. As governments after governments go wreaking havoc on poor people’s lives with their lopsided farming policies, heartless rhetoric and of course, warped notions of globalisation with not a cent of thought going into protecting the local economy, many farmers commit suicide and over 2,000 of them give up farming every day in India (P Sainath). In the midst of all this madness, there go millions of lives undocumented, millions of dreams uncultivated. Not because there is dearth of land, but only dearth of seeds. Kaveri will be transported to a slum from her beautiful village to eke out a living, even as India goes about singing hosannas to its own self-constructed and distorted story of a superpower in the making. This happens even as a large chunk of its human race goes to bed unfed, uncovered and unheard. So will be Kaveri, packed with some of the finest human qualities. I am quite sure she will weave beautiful garlands with not a flower out of place. She will cook delicious food with her characteristic poise. She will do all this and a lot more while life lets her die with a thousand little cuts. Day and night. The mountains stood still as ever overlooking the villages forever under transition. It seemed as though they were waiting for the migrated souls to come back and take shelter under the huge trees. It’s just that no one seemed to be paying heed to their silent pleas. This entry was posted in Free Flowing, Short Stories, Thought Saplings, Women's Issues and tagged Dharavi, farming policies, Migration, Thiruvannamalai. Bookmark the permalink. Extremely well written, don’t know if the word I’m looking for is poignant………but feeling so hopeless….especially since I know Kaveri…..what you said about her,is so true……I do hope she finds happiness going forward,that is my fervent wish for her from the bottom of my heart. Heart breaking. Helplessly hopelessly trapped are so so may such souls. What mountains we make of Our little molehills. Wow! I hadn’t read this. Poor Kaveri…when I read accounts like this, I can’t help feeling so thankful for the lives we lead, thankful to be able to make our own choices. Imagine going from Tiruvannamalai to Dharavi! You’ve described everything so beautifully, Savita. It’s such a pleasure to read your blogposts. Dear Savita, such a stirring story. We all meet and see Kaveris around us and often dont even stop to think the hopeless and difficult lives they lead. Is the girl still with you or she has left? She left us and got married in 2015. We are in touch with her. Sorry, that got sent prematurely. I recently met in when I went to Mumbai. To put it in one line, this girl always deserved better in life. My hope that things would somehow turn around after marriage was a mere wish with no wings.